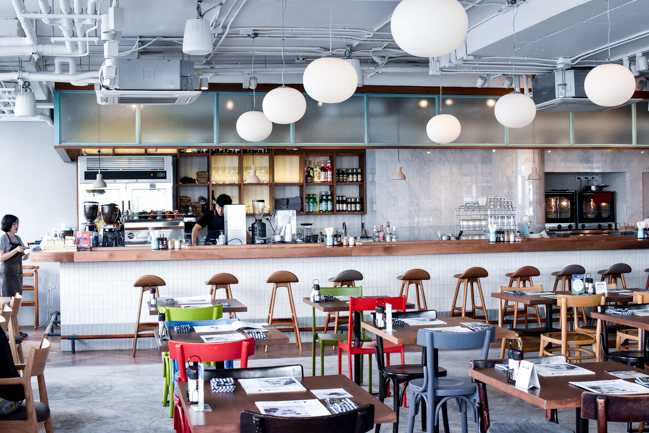 [Bangkok, Thailand] There is almost an instant liking to Roast, one of Bangkok’s most popular hipster café nestled in an equally hipster Thonglor district. 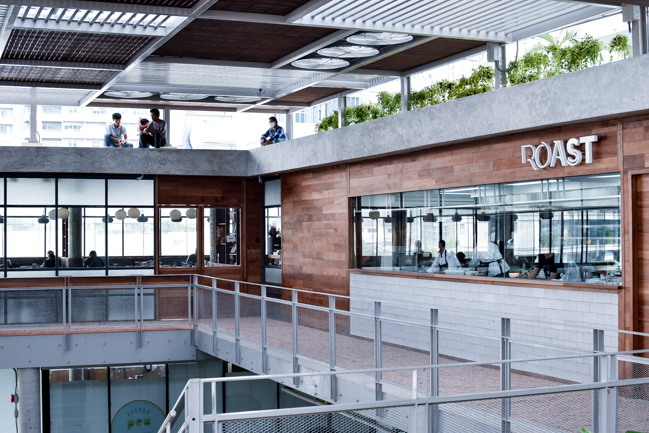 Take note, Roast at the original location of Seenspace Thonglor has moved to Level 4 of The Commons, with another branch at EmQuartier. 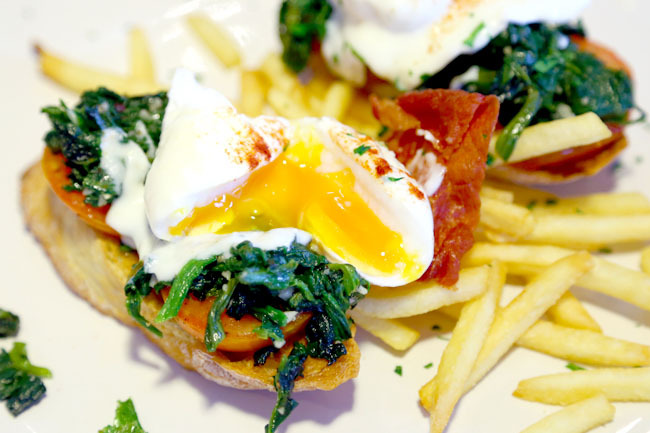 The American style restaurant café has the ticks in the boxes – industrial brick-and-glass décor, spacious with tall ceilings like a large dining hall of a house, great vibes buzzing with lively people, extensive range of brunch items, mains and desserts, and very good coffee. Except the queue, maybe too packed for very prompt service. So come slightly late during the weekends and you would have to wait in line for some time. 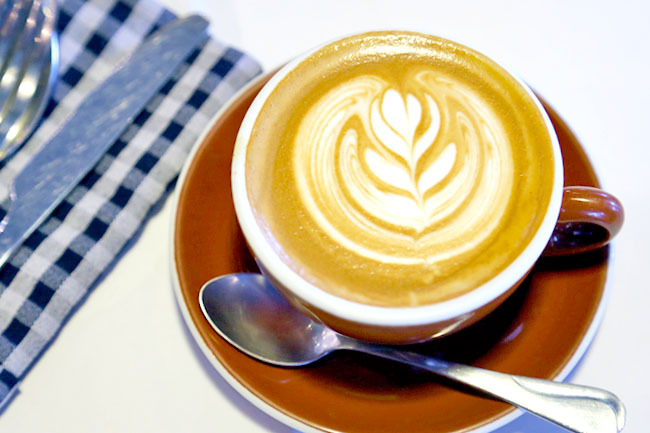 Even though I have yet to drink coffee from all the main cities yet, personal preference, I thoroughly enjoy coffee at these two places – Melbourne and Bangkok. 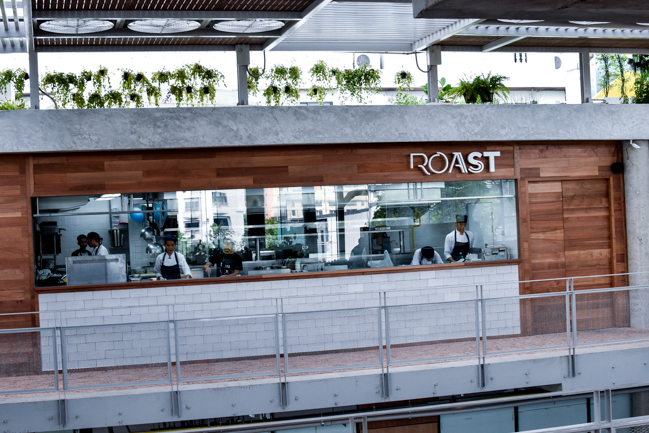 Roast’s coffee is every part a winner, roasted in-house, using single origins (fresh brew coffee 120 baht, French Press 140 baht). The popular item is the Iced Espresso Latte (120 baht) where espresso comes in forms of ice cubes, poured over with milk. 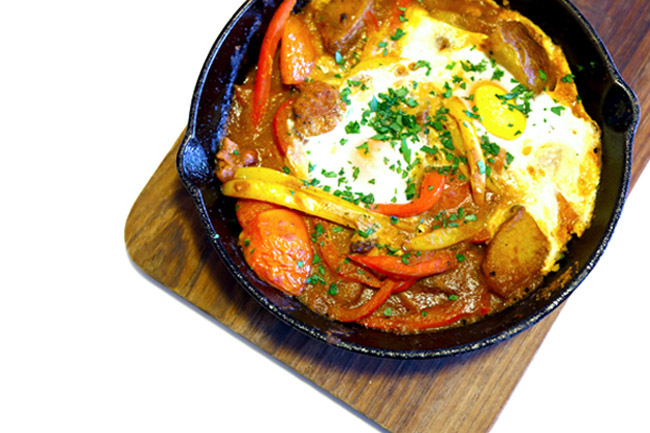 Perhaps we did not order the right brunch dishes – the Eggs Benedict (280 baht), Crab Cake Benedict (360 baht) and Huevos Rancheros Baked (350 baht) were good enough, but not remarkable. 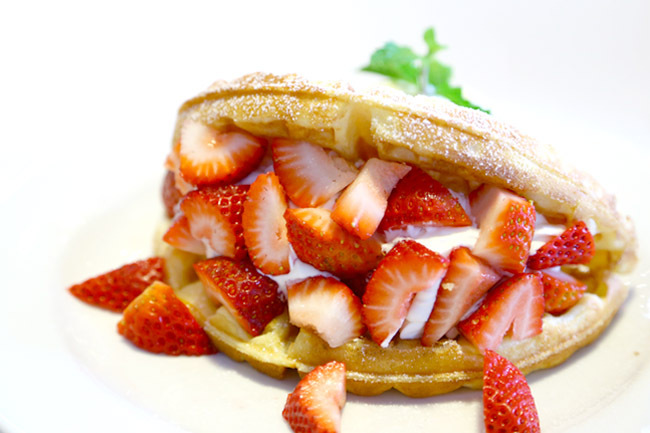 I think there are several other Bangkok places that can conjure all better tasting brunch items. 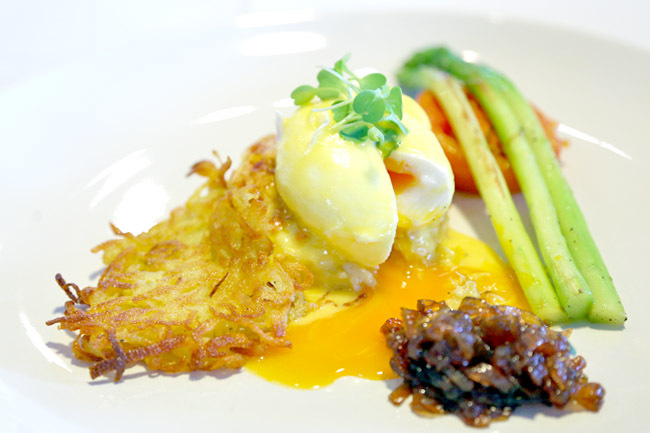 But I appreciated twists that could be found in the dishes, such as the Crab Cake Benedict which came with a bed of potato rosti, grilled vegetables on side, and some onion jam. The dish could do with a fuller and moister crab cake though. The desserts were to live for. 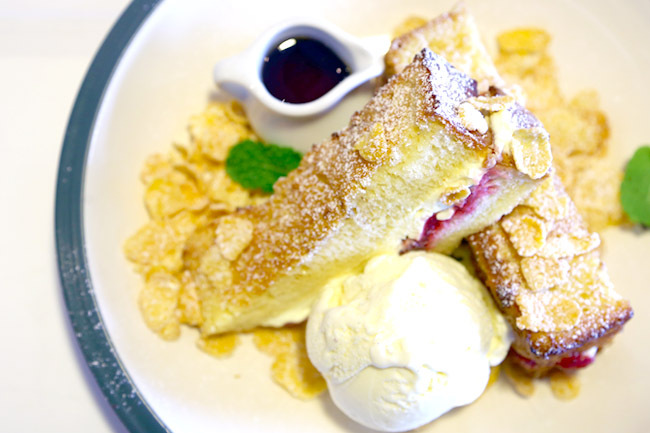 Both the Strawberry Waffle (260 baht) and Cranberry Brioche French Toast (280 baht) hit the sweet spot with their house made vanilla ice cream, light fresh cream. 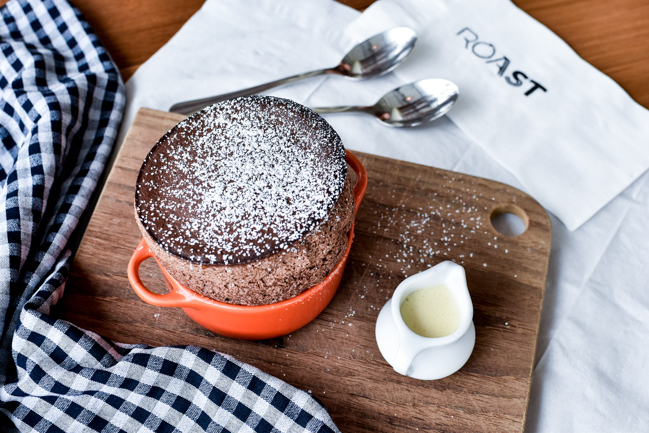 Why I would come to Roast: 1 for the coffee, 2 for the ambience, 3 for the desserts, and 4 maybe for the savouries. 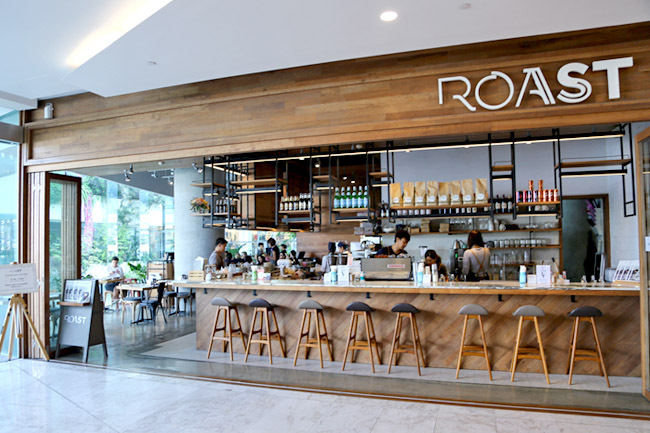 Roast has opened its 2nd at EmQuartier near Phrom Phong Station. You won’t want to miss its cold-brew.